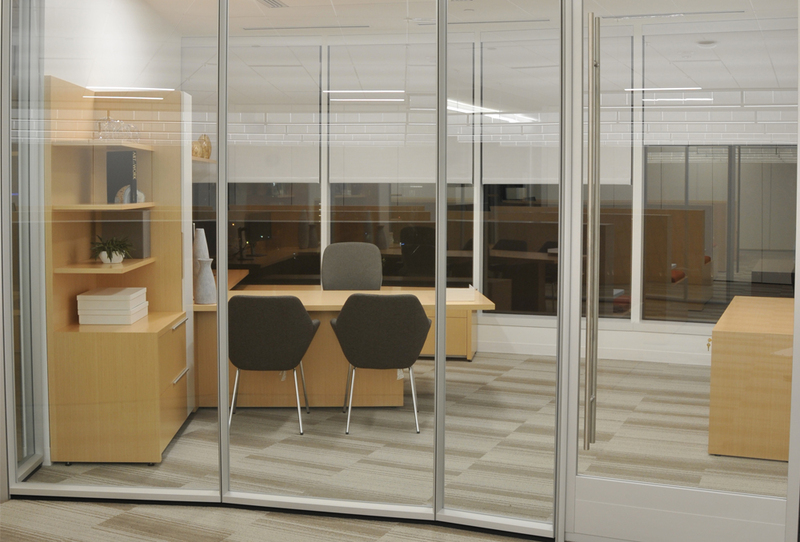 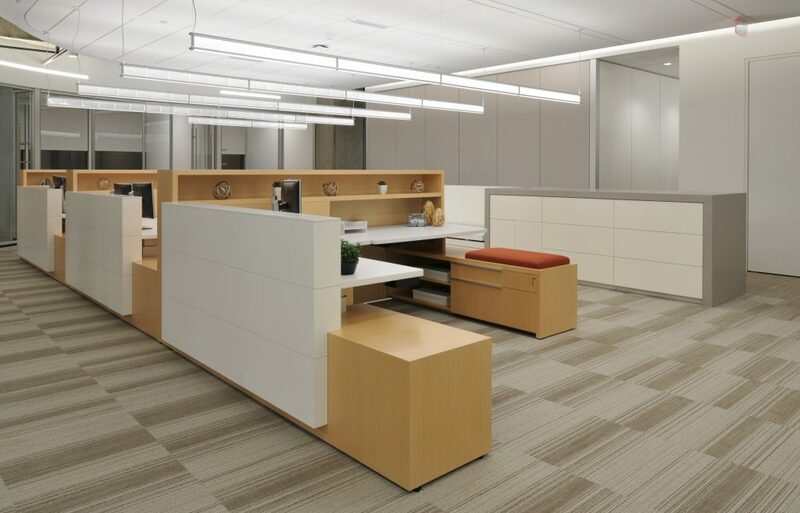 This project for Jackson Walker L.L.P., a prominent law firm in Dallas, is comprised of 228 offices spread over 4 floors and incorporates bespoke L-shaped administrative stations as well as three different private office configurations. 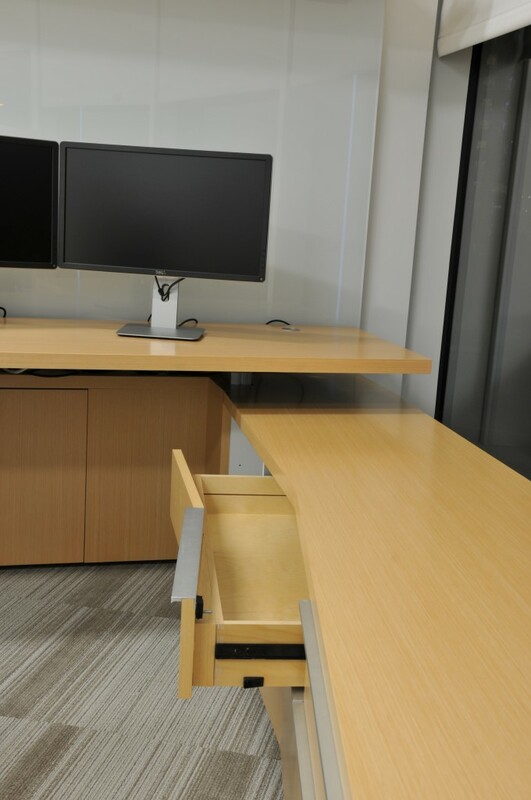 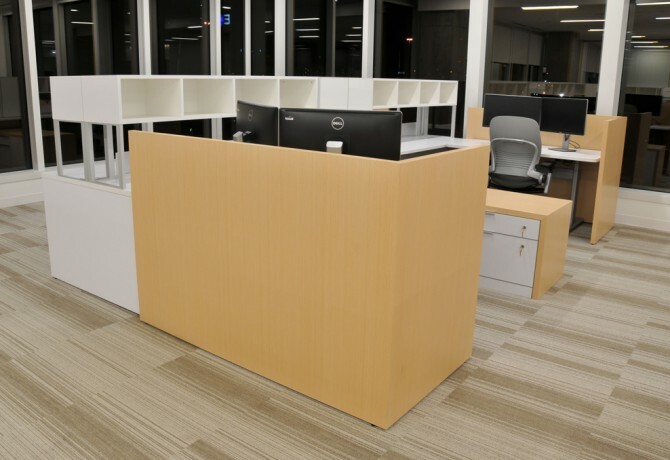 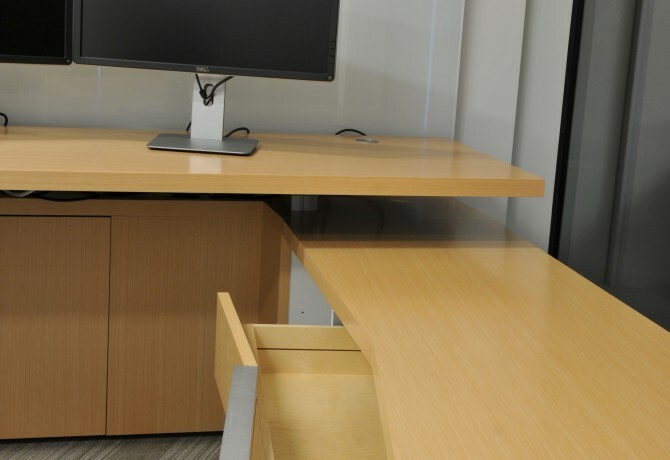 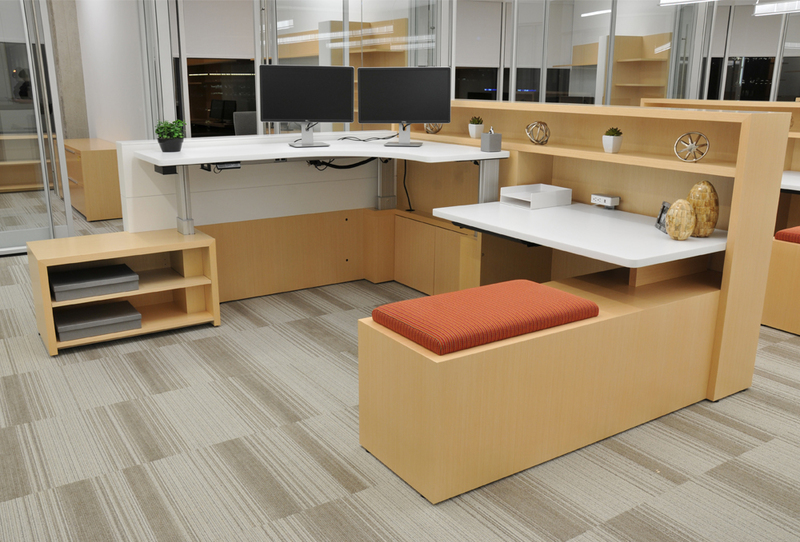 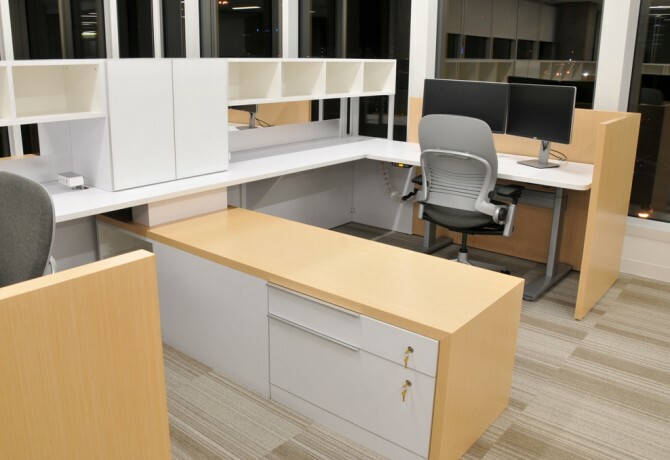 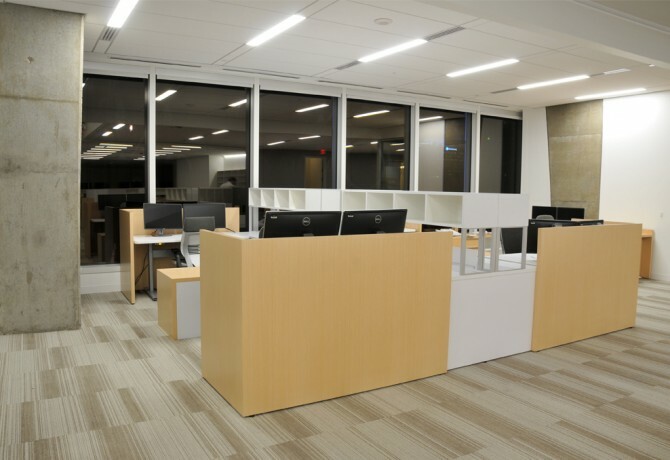 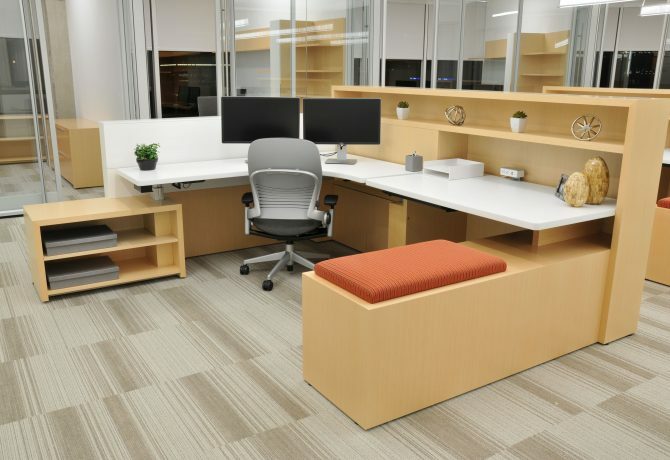 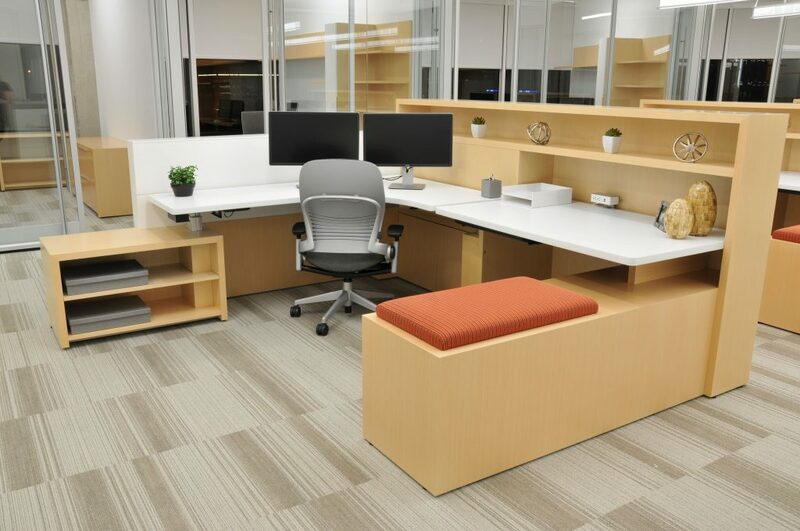 Both the private offices and administrative stations feature sit-stand work surfaces that are integrated into the lower cabinets. A natural finish on a white birch Linea veneer is complimented by white painted casegood elements. 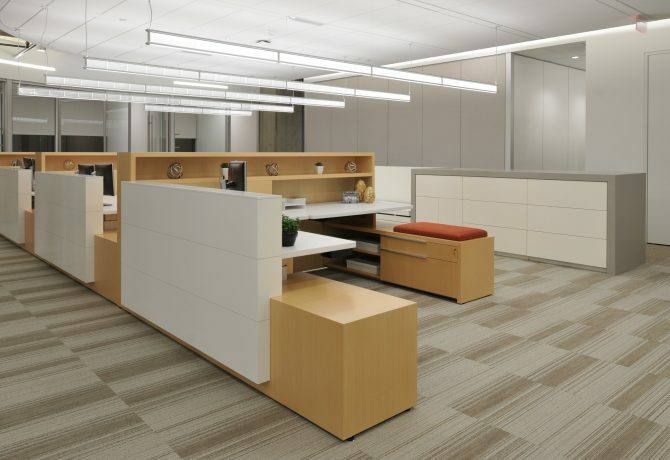 White back-painted glass marker boards in the private offices and white laminate work surfaces on the administrative stations further the refined aesthetic. 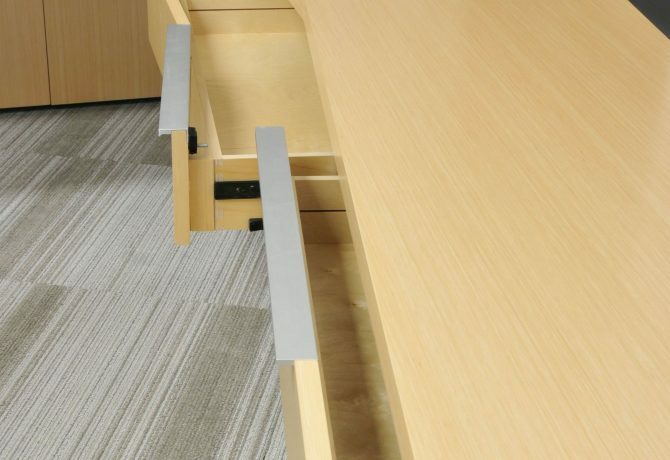 In keeping with CCN’s industry leading fabrication methods, all casegoods are constructed with mitered corners. 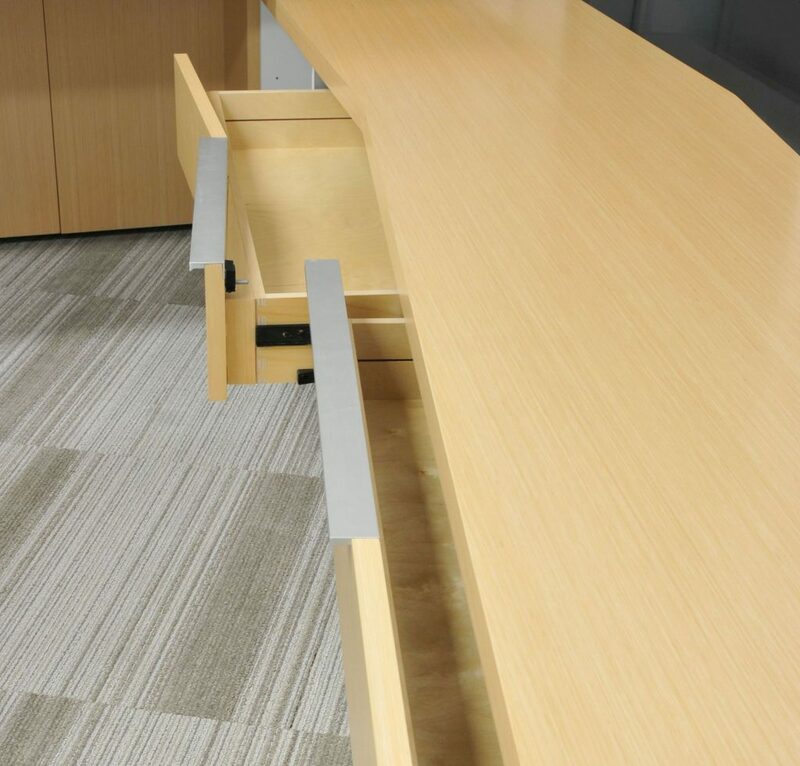 Drawers have routed-in pulls and shelves in the private offices are cantilevered with steel brackets invisibly pocketed into them. Other unique features include truncated credenzas built to coincide with angles of the building exterior walls and a custom base for oval tables with integral wire chase for discreet power conveyance. 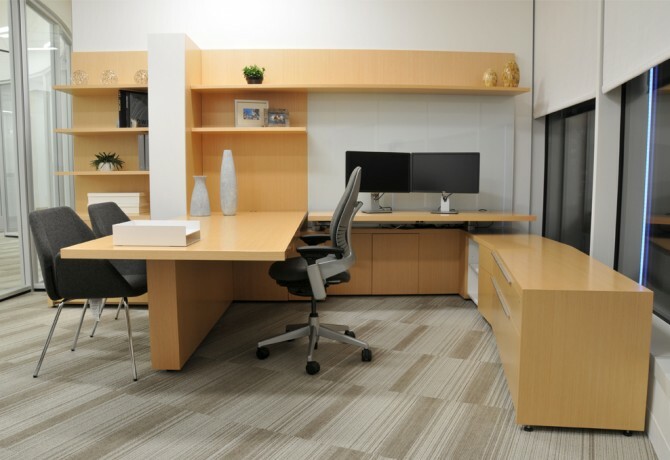 Bespoke veneer walls and credenza shrouds in matching Linea veneer have been applied to existing furniture to maintain a cohesive aesthetic throughout the office. CCN’s bespoke approach gave the end user an opportunity to tailor associate and partner offices to meet the needs of the user as well as address any construction modifications. 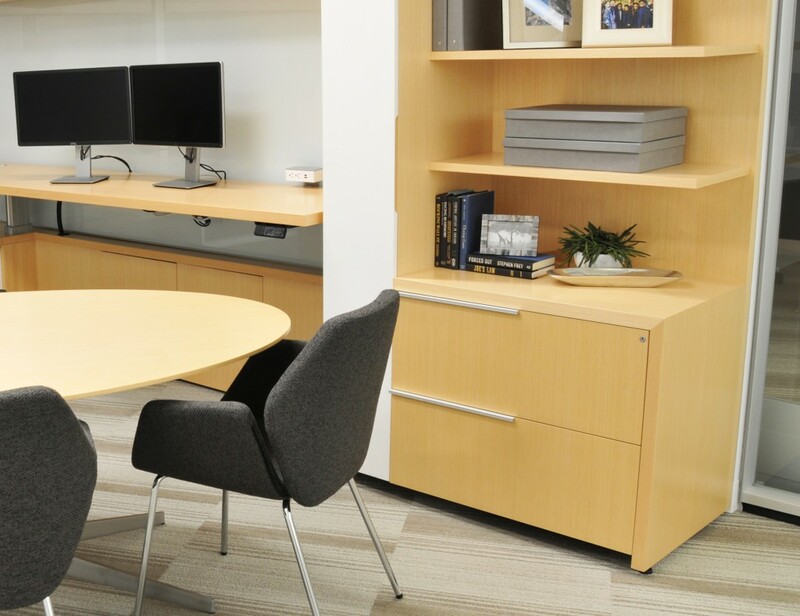 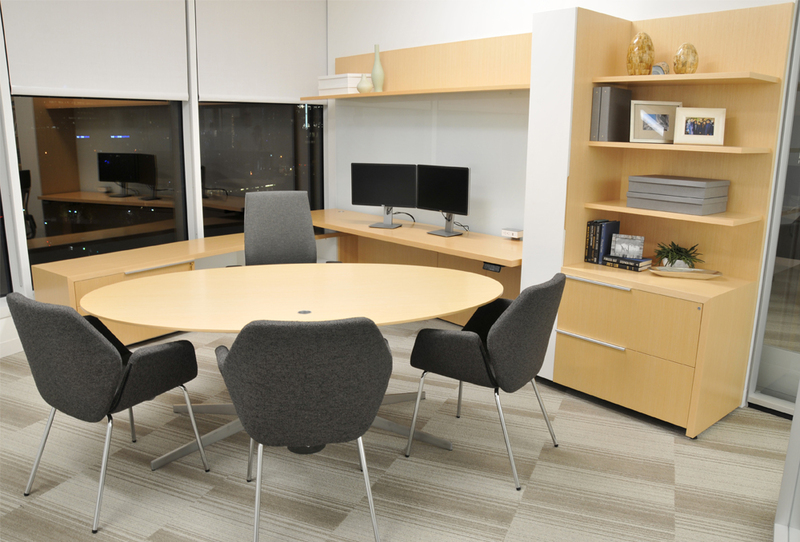 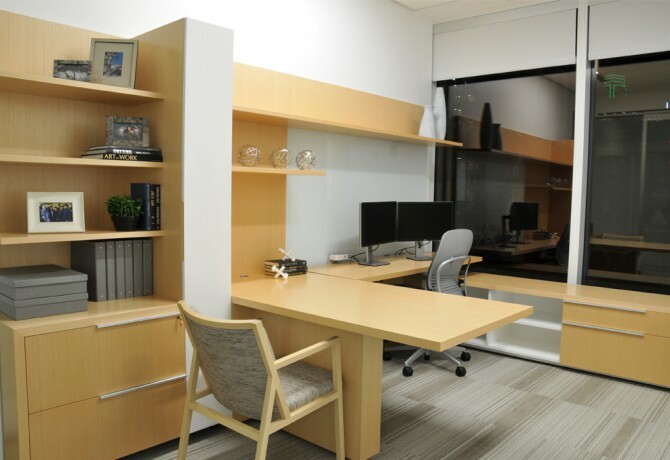 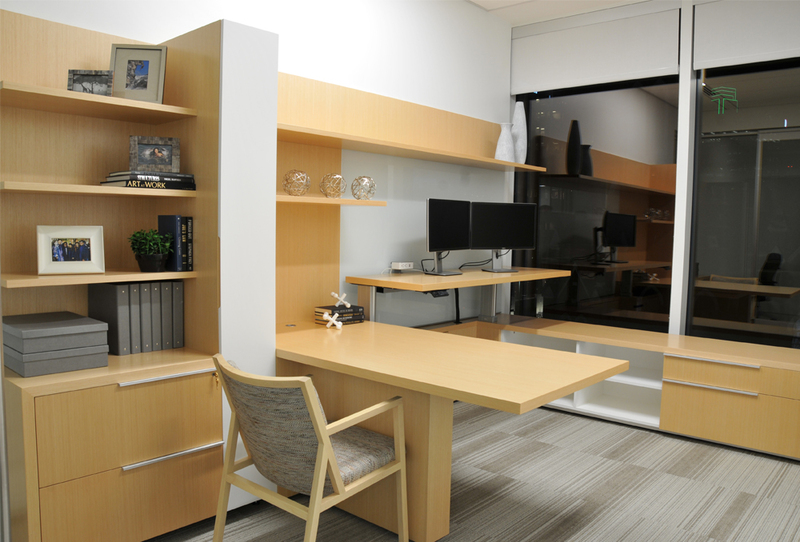 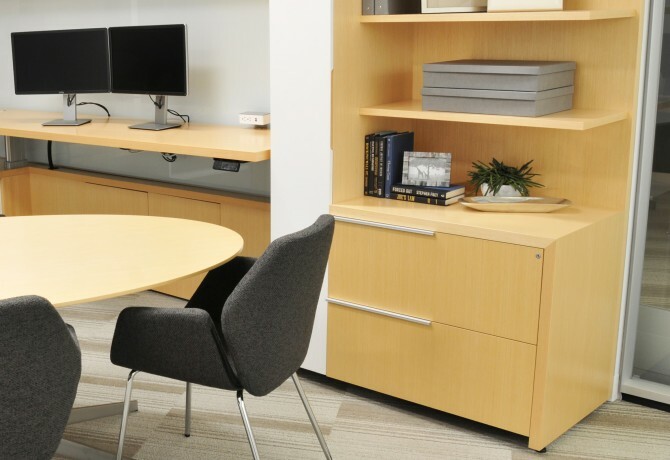 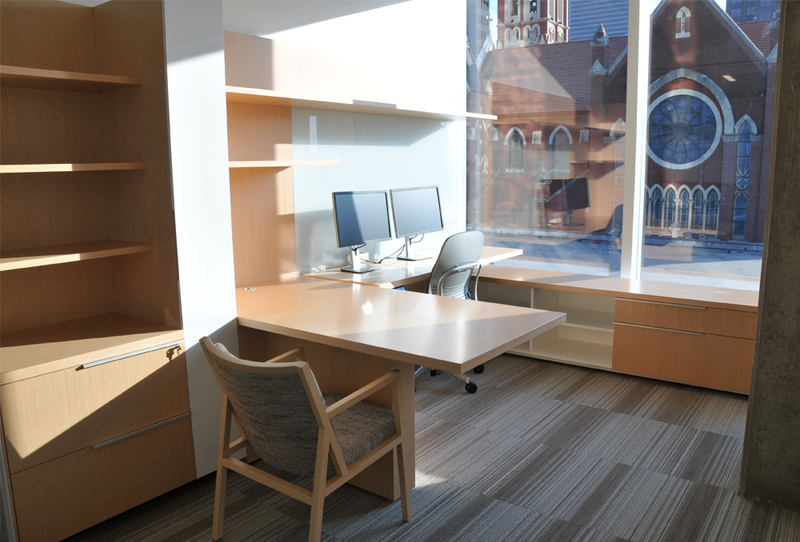 We are proud to have been able to provide such a beautiful solution to the people of this law firm, and we know they will be enjoying their furniture for many years to come.